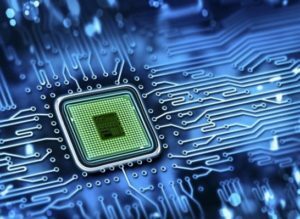 Good Future Technology Company is one of the IC design companies which has been founded with the custom chips’ design objective in electronics, radio frequency, telecommunications, and analog and digital designs with state-of-the-art commercial technologies. The main success factor of our integrated circuits is based on unique blend of systems know-how beside IC design capability. Good future focuses on the system design aspect of any wireless system, and an in-depth competitive analysis, before defining new chip-sets, and embarking on the IC design task. This ability has led our team to be very smart users of existing chips in our system design. Over the last decade we have done many designs in various fields mostly in communication such as DECT, Digital AMPS, GSM, 3G, 4G, WLAN, WiFi and GPS. Some of the block examples of the mentioned fields are as follows: ADC, DAC, DDS, Sigma-Delta, Phase-Locked Loops, VCO, Synthesizers, SONET and other analog high speed blocks. The ICs designed by Good future have been used by many manufacturers of mobile handsets, and personal communications products. Please start a quick design request here. We will respond in less than a day. To support our customers streamline work processes, improve employee productivity, optimize and maximize investment program. © GOOD-FUTURE INTERNATIONAL, LTD ALL RIGHTS RESERVED | RM 603, 6 / F CC WU BUILDING, 302 HENNESSY ROAD, WAN CHAI, HONG KONG.